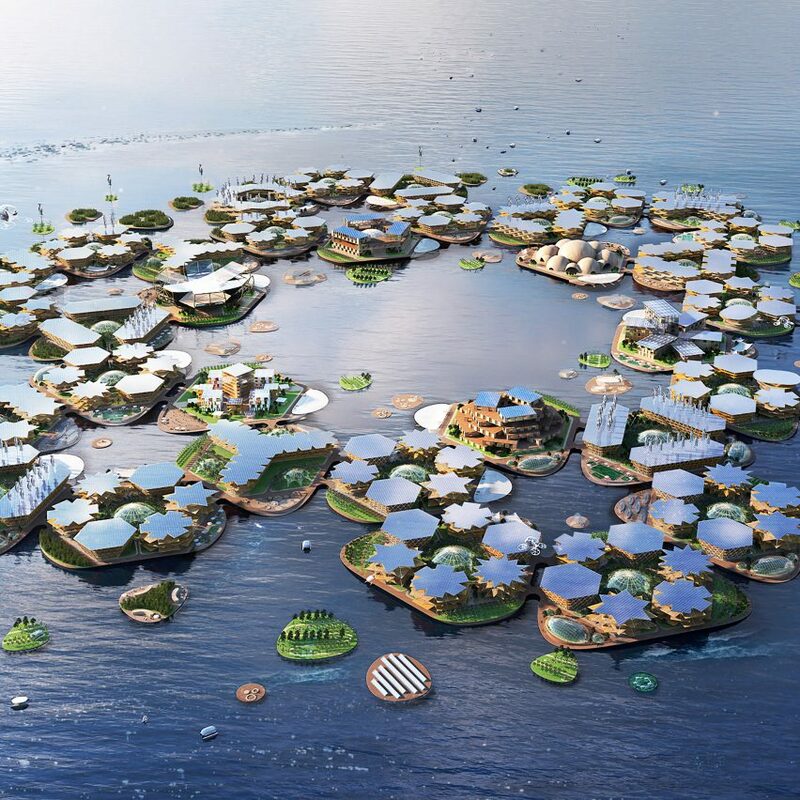 BIG founder Bjarke Ingels unveiled the scheme yesterday at a round-table discussion on floating cities at the United Nations’s New York headquarters. 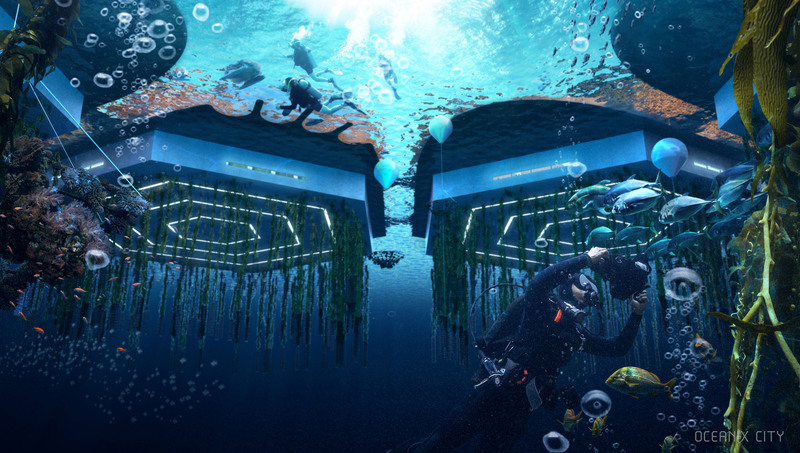 BIG developed the concept with MIT‘s Center for Ocean Engineering and Oceanix – a non-profit set up to innovate ways to build on water. BIG intends the buildings atop to be constructed from locally sourced “replenishable” materials such wood and fast-growing bamboo, which also offer ” warmth and softness to touch”. 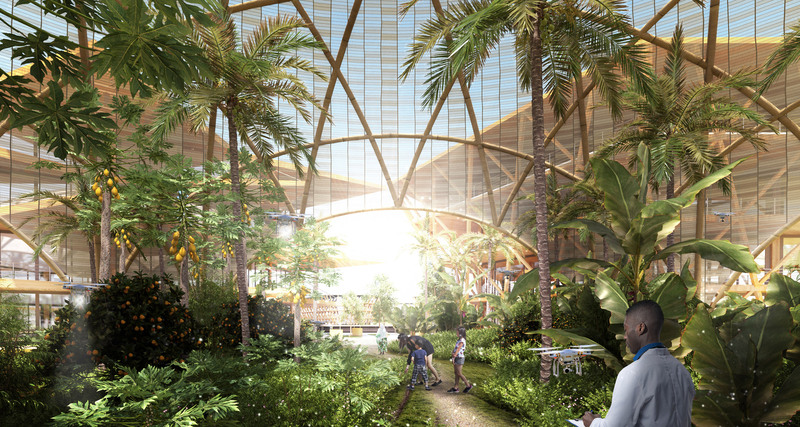 “Every island has 3,000 square metres of outdoor agriculture that will also be designed so that it can be enjoyed as free space,” said Ingels. “This is simply another form of human habitat that can be a seed, that essentially can grow with its success as it turns out to be socially and environmentally desirable to chose this lifestyle,” he continued. 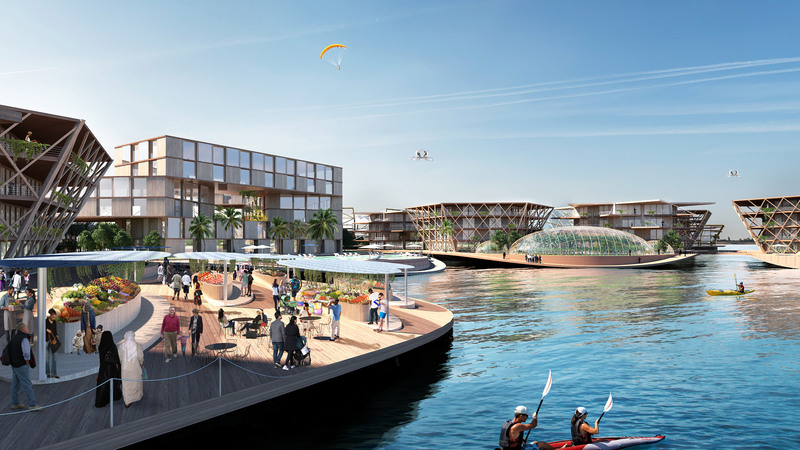 BIG’s unveiling of Oceanix City at the UN marks a major step forward for developing cities adapted to climate change and the resulting threat of rising sea levels and extreme weather events. 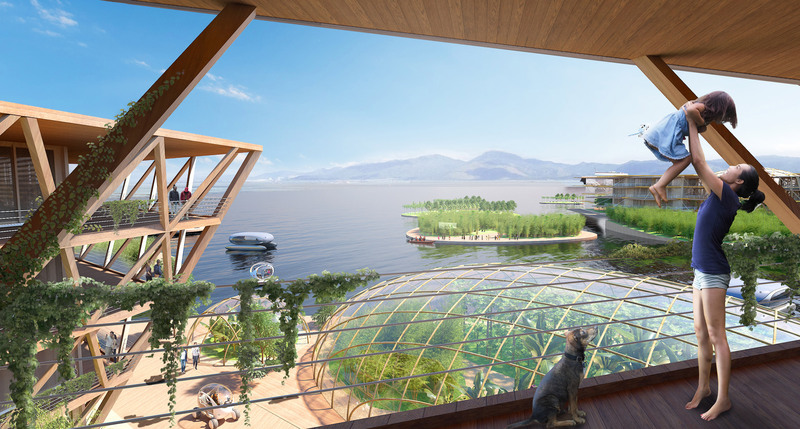 Amina Mohammed, UN deputy secretary-general, described floating cities as a way of tackling “frontier issues” facing human populations. 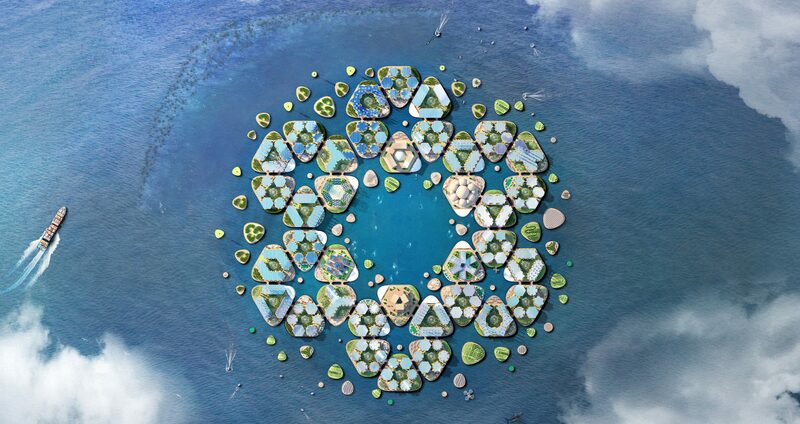 Oceanix City forms part of a surge of interest in floating cities, developed in response to rising sea levels. Examples of projects include colonies of floating houses along Amsterdam’s river IJ and an amphibious house in the UK. 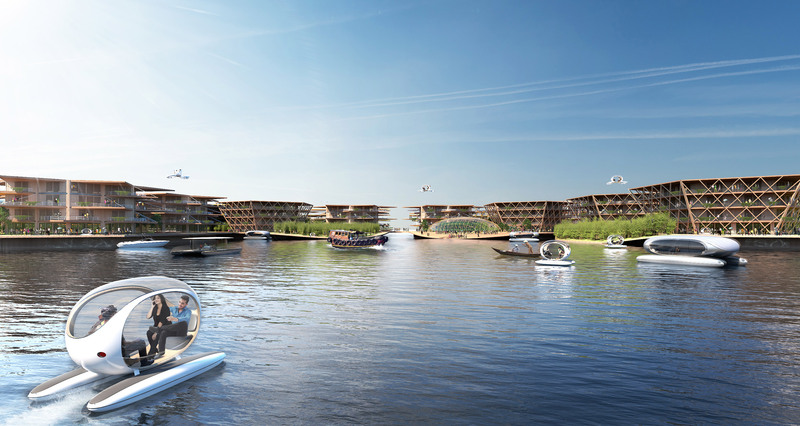 The post BIG unveils Oceanix City concept for floating villages that can withstand hurricanes appeared first on Dezeen.